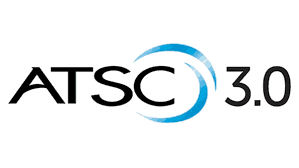 I’m sort of excited by ATSC 3.0, but also worried about what we’ll be left with. Whether it really requires the internet. Hopefully broadcasters won’t try to force people to connect their TVs to the internet. It will be interesting on how it turns out. I do think the concerns of OTA TV becoming pay walled are a bit overblown as I doubt much of the OTA crowd would be willing to start paying a monthly fee on what was previously free. 1) Like this is a new idea — it SHOULD have been part of ATSC 1.0! 2) It “promises”. ATSC 1.0 ‘promised’ superior quality HD at lower power levels too. How did THAT work out? I’m hopeful, but I’ll believe it when I see it. And are there any ATSC 3.0 converter boxes out there for consumers yet? ATSC 1.0 was as good as was possible with mid-90s technology. Two decades later, things have improved a bit, although not as much as we’re led to believe. Broadcasters may start with 4k streams, but they stand to make more money by lowering video quality and squeezing more channels in. That’s the real motivation for the FCC ramming this through… they’re addicted to auctioning off TV spectrum to cellular companies for big bucks, and hope to do it again in a few years.